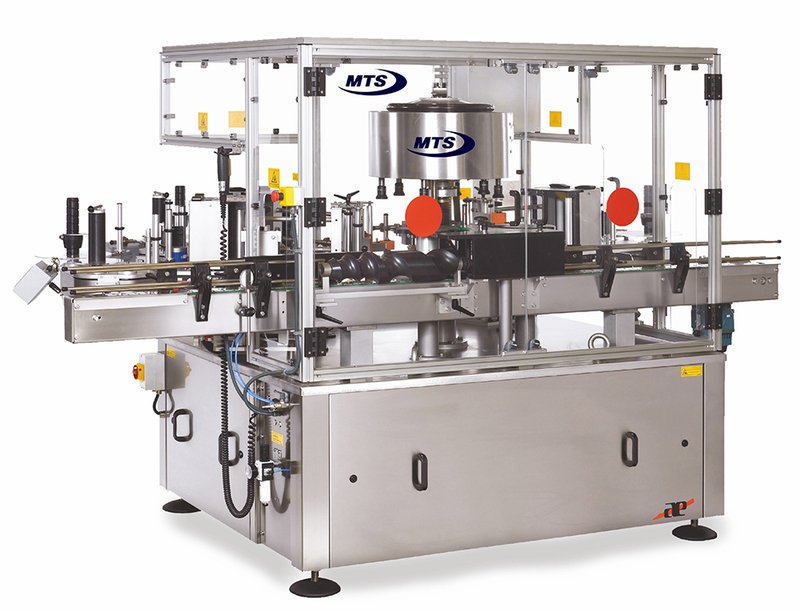 Rotary machines with self-adhesive labeling of front, back, or neck labels at speeds of up to 60,000 bottles per hour. Protection booth with motorized guillotine-type doors. Highly accessible rounded machine base. 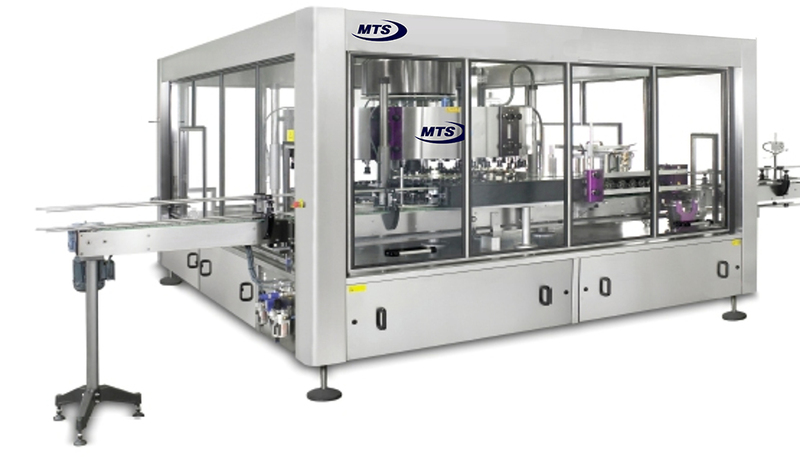 Bottle holding plates driven by servomotors (optional). 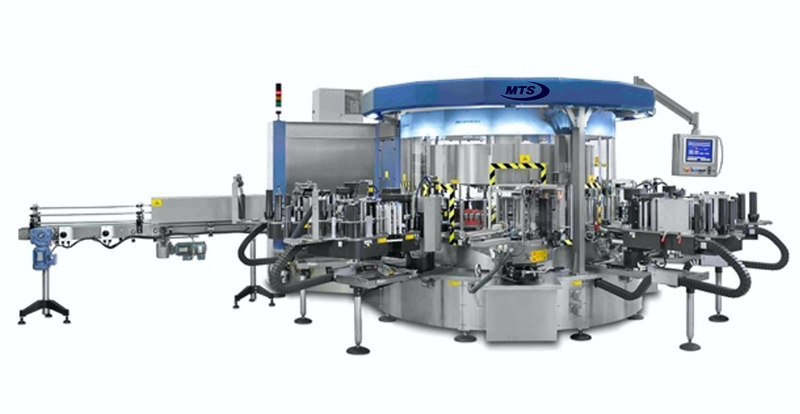 Combination labeling according to requirements. 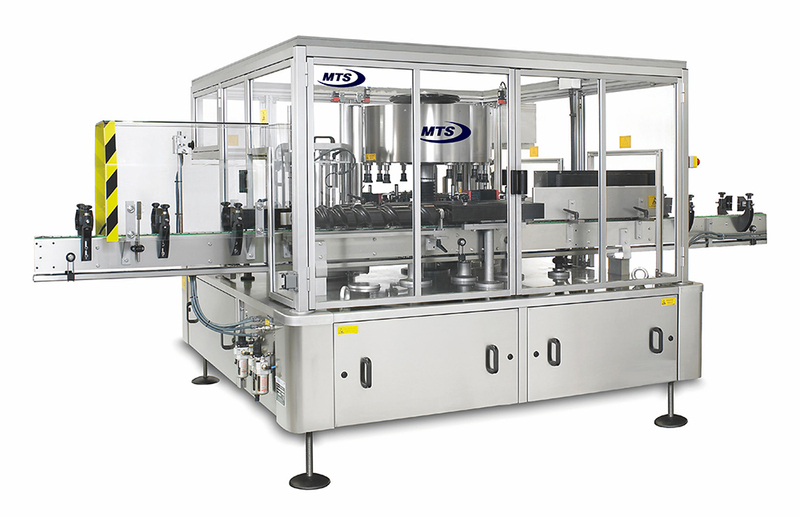 Package orientation through different systems. Stainless steel control cabinet attached to the machine. Protection booth with manual opening guillotine-type doors. Protection booth with folding doors.